Carlos Gardel – French-Argentine singer, songwriter, composer and actor. 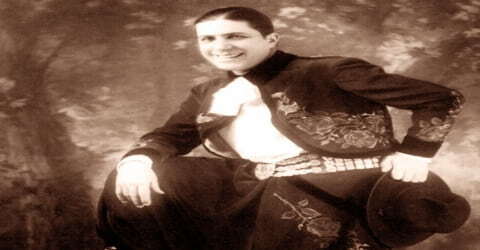 Argentine singer and actor celebrated throughout Latin America for his espousal of tango music, Carlos Gardel was born on December 11, 1890, in Toulouse, France, to unmarried 25-year-old laundress Berthe Gardès. Gardel’s baritone voice and the dramatic phrasing of his lyrics made miniature masterpieces of his hundreds of three-minute tango recordings. Together with lyricist and long-time collaborator Alfredo Le Pera, Gardel wrote several classic tangos. Along with his long-time collaborator Alfredo Le Pera, Gardel wrote several tangos which went on to become classics. With his deep baritone voice and skillful phrasing of lyrics, he was undoubtedly one of the biggest musical stars of the early 20th century. Referred to as “The King of Tango” and “The Wizard”, Gardel was the creator of hundreds of three-minute tango recordings many of which are considered masterpieces by his fans. Born out of wedlock to a young mother, Carlos grew up in difficult circumstances. The exact details regarding his birth and early life are not known though it is known that he did not complete high school. Blessed with a good voice and creativity, he began singing as a teenager and found a mentor in José Betinotti, who was a folk song expert. His meteoric rise symbolically paralleled tango’s path to legitimacy and international fame; in Gardel, the common folk of Buenos Aires saw themselves and their culture validated on a massive scale. The plane crash that claimed his life at the height of his fame set off shock waves across the Spanish-speaking world, and even today, he is treated with near-religious reverence in Argentina; fans often say that he sings better every day. Gardel rivals Astor Piazzolla as the most important single figure in tango history; if Piazzolla was roughly tango’s equivalent of Duke Ellington, then Gardel was certainly its Frank Sinatra a towering giant of a vocalist, macho yet sensitive, with an unequaled affinity for the popular song of his homeland. 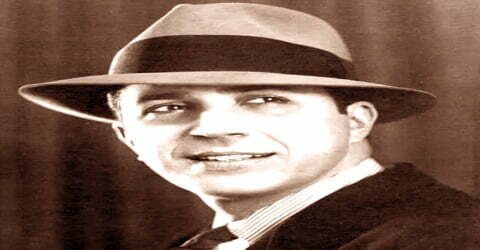 Gardel began performing in cafes and clubs and soon gained popularity. His career reached newer heights with his collaboration with Alfredo Le Pera and he came to be regarded as a pioneer in tango. He was also a popular actor. He was at the peak of his career when his life was tragically cut short in an airplane crash. For many, Gardel embodies the soul of the tango style. He is commonly referred to as “Carlitos”, “El Zorzal” (The Song Thrush), “The King of Tango”, “El Mago” (The Wizard), “El Morocho del Abasto” (The Brunette boy from Abasto), and ironically “El Mudo” (The Mute). Carlos Gardel, by name of Charles Romuald Gardes on 11 December 1890 in Toulouse, France to an unmarried mother Berthe Gardes, and his birth certificate listed the father as “unknown”. His biological father is believed to have been Paul Laserre, a married man. Berthe Gardès also left Toulouse, a little over a year later, likely to escape the social stigma of having a child born out of wedlock. In early 1893 in Bordeaux, France, mother, and son boarded the ship SS Don Pedro and sailed to Buenos Aires, arriving on 11 March 1893. Berthe Gardès had her passport recorded upon arrival; she told immigration authorities that she was a widow. The two-year-old boy was recorded as Charles Gardès. The mother-son duo lived in poverty as Berthe struggled to eke out living by pressing clothes in the French style. Carlos attended Pio IX Industrial high school. Always interested in music, he dropped out of school as a teenager to seek out his fortunes as a singer. Fortunately, he found a mentor in José Betinotti, a folk song expert. However, Gardel was certainly in Buenos Aires by the age of six. His first formal acting roles were at the Nacional Corrientes Theatre, which also listed Don José Razzano, with whom Gardel formed a duo for many years. They played in various theatre companies, touring Argentina and other Latin American countries and Spain. 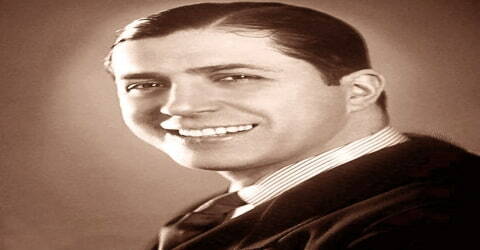 Carlos Gardel was aware of the fact that much of his popularity was based on his attractiveness to women. In an effort to seem as if he were available to any woman, he sought to keep his love life secret. Gardel was once in a long-term relationship with Isabel del Valle. They were closed for more than a decade. Gardel and del Valle were not seen together very often in public. Gardel’s mother and del Valle’s family helped make sure the relationship was not well known. Only Gardel’s closest friends knew about it. The couple eventually drifted apart and Isabel later married another man. 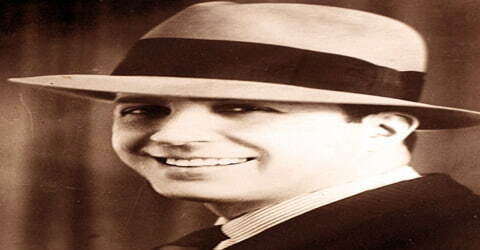 Carlos Gardel began his singing career performing at cafes, clubs, and parties. He had begun to gain popularity as a folk singer by 1910 and was now offered gigs in many big restaurants and cafes including the popular O’Rondemann café. In 1911, Gardel first performed with fellow up-and-comer José Razzano, a talented Uruguayan-born folksinger. The following year, Gardel made his first recordings for the Columbia label, and mounted a tour of the area in tandem with singer Francisco Martino, later adding Razzano to form a trio. When Martino left in late 1913, Gardel and Razzano carried on as a duet. They soon grew quite popular, playing most of the major theaters, clubs, and cabarets in Buenos Aires in 1914. Gardel’s promising career nearly came to an end on December 11, 1915, when he was shot in the chest at close range during an argument at a club. Fortunately, the bullet simply lodged in his lung, where it would remain for the rest of his life. He was able to make a full recovery and was back on the road with Razzano in 1916. Gardel received a big breakthrough in 1917 when he teamed up with Pascual Contursi to write what would become his most famous tango song ever ‘Mi Noche Triste’ (My Sad Night). The song became a favorite in clubs and was soon released on record as well. The recording proved to be a tremendous hit and sold 10,000 copies. The resounding success of his first tango motivated Gardel to focus more on this genre. Along with Razzano, he went on extensive tours through Argentina which added to his growing fame. Gardel’s huge popularity as an interpreter of the melancholy ballads of the tango was confirmed in the 1920s and ’30s in nightclubs and motion pictures. One early picture, Luces de Buenos Aires (1931; “Lights of Buenos Aires”), was filmed in Paris, but later ones were made by Paramount Pictures for the Spanish-speaking market. They include Espérame (1933; “Wait for Me”), La Casa es seria (1933; “The House Is Somber”), Melodia de Arrabal (1933; “Melody of Arrabal”), Cuesta abajo (1934; “Downhill”), El Tango en Broadway (1934; “The Tango on Broadway”), Tango-Bar (1935), El Día que me quieras (1935; “The Day That You Love Me”), and Cazadores de estrellas (1935; “Hunters of Stars”). His rising stature as a singer and composer prompted him to tour other countries as well and he traveled through Uruguay, Chile, Brazil, Puerto Rico, Venezuela, and Colombia. 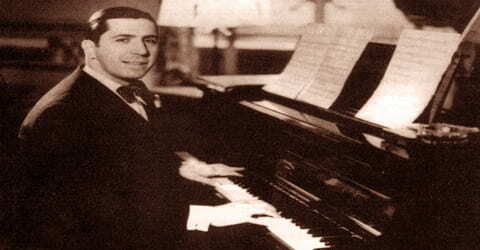 Gardel also performed in Paris, New York, Barcelona, and Madrid. His world tours are credited to have made tango internationally popular. His long-time collaborator Razzano developed serious throat problems and the duo had to split in 1925 following which Gardel established himself as a solo artist. Gardel went on tour through Argentina, Uruguay, Chile, Brazil, Puerto Rico, Venezuela, and Colombia, as well as making appearances in Paris, New York, Barcelona and Madrid. He sold 70,000 records in the first three months of a 1928 visit to Paris. By the time Gardel made his triumphant return to Buenos Aires in mid-1929, tango had spread like wildfire through Western Europe, and the cream of Paris society had embraced him with great enthusiasm. Accordingly, he signed a lucrative new record deal with RCA, which ushered in what many fans consider his most productive period. As his popularity grew, Gardel made a number of films for Paramount in France and the U.S. While sentimental films such as Cuesta abajo (1934) and El día que me quieras (1935) lack lasting dramatic value, they were outstanding showcases of his tremendous singing talents and movie star looks. Inspired by Al Jolson’s seminal The Jazz Singer, Gardel turned to film to broaden his audience even further, appearing in a series of shorts during 1930 that helped introduce new songs. He signed a deal with Paramount, which hoped to use him as its entryway into the Spanish-speaking market. Returning to France over 1930-1931, Gardel was a tremendous success once again; while there, he starred in his first full-length feature film, Luces de Buenos Aires, which proved to be a smash hit in Latin America and spawned the hit “Tomo y Obligo” (“I Drink and Make You Drink”). In spite of his massive popularity, Gardel’s songs were often still peppered with Argentine idioms and slang expressions that didn’t necessarily translate to the rest of the Spanish-speaking world. Another important collaboration happened in 1932. He teamed up with Alfredo Le Pera with whom, over a brief but fruitful period, he created some great tango classics. Their professional partnership was a highly successful one which resulted in the making of popular compositions like ‘Por Una Cabeza’, ‘Mi Buenos Aires Querido’, ’Solidad’, ‘Melodia de Arrabal’, and ‘Los Panchos en Buenos Aires’. Gardel returned to Argentina in 1933, recording and touring heavily in what would prove to be his final year at home. Toward the end of the year, he traveled to New York to make his American radio debut with NBC, and performed regularly for several months; although he attempted to sing in English, his skill in the language was limited, and the idea was later abandoned. Over 1934-1935, he completed four more films: Cuesta Abajo (which featured the title hit and “Mi Buenos Aires Querido”), El Tango en Broadway (another hit title song), Tango Bar, and perhaps his best-loved film of all, El Dia que Me Quieras. The latter featured yet another hit title song and the future Latin pop standard “Volver,” among others, and also boasted a brief appearance by Astor Piazzolla, still a child and playing a street urchin. Despite Gardel’s earlier problems with English, Paramount featured him in a small part of its revue-style film The Big Broadcast of 1936, hoping to break him to an even larger market (his bit was later cut from the American release). During the 1930s Gardel also embarked on an acting career, his first full-length feature film being ‘Luces de Buenos Aires’, released in 1931. His movie career helped him to showcase his singing talents along with acting. Some of his other popular movies include ‘Espérame’ (1933), ‘La Casa es seria’ (1933), ‘Melodia de Arrabal’ (1933), and ‘El Día que me quieras’ (1935). Finishing his last film early in the year, Gardel decided to undertake a comprehensive tour of the Caribbean and northern South America. He never completed it. On June 24, 1935, Gardel, LePera, and other members of his entourage boarded a plane in Medellín, Colombia, en route to their next engagement in Cali. As the plane was attempting to get off the ground, it veered sharply and crashed into another plane stopped on the runway. Both planes burst into flames, and Gardel, LePera, and almost everyone else on board were killed. 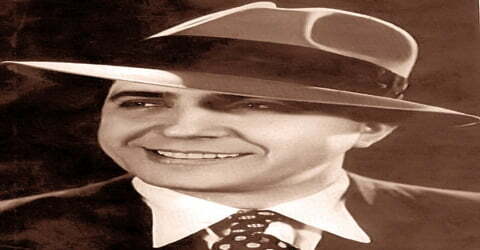 Carlos Gardel died on 24 June 1935 in an airplane crash in Medellín, Colombia. Others who died included the pilot Ernesto Samper, lyricist Alfredo Le Pera, guitarists Guillermo Desiderio Barbieri and Ángel Domingo Riverol, several business associates, and other friends of the group. It is believed that a third guitarist, José María Aguilar Porrás, died a few days after the crash. 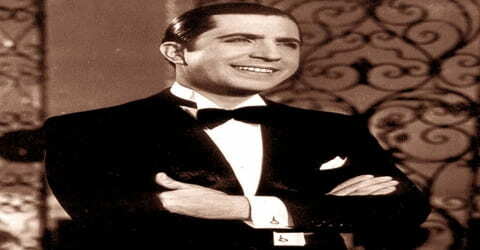 The first tango Carlos Gardel recorded, ‘Mi noche triste’ is undoubtedly his best-known work. It revolutionized the genre as it was the first time a tango had lyrics to be sung with it and is credited to have introduced the concept of sentimental tango. Millions of Gardel’s fans throughout Latin America went into mourning. Hordes came to pay their respects as his body was taken from Colombia through New York City and Rio de Janeiro. Thousands rendered homage during the two days he lay in state in Montevideo, the city in which his mother lived at the time. Gardel’s body was laid to rest in La Chacarita Cemetery in Buenos Aires. Not only had he been an ambassador of Argentine culture, but Gardel had also been one of Latin America’s first true international superstars. His following hardly diminished in the years after his death, and he still remains the epitome of tango music for many. Countless compilations of his huge discography have surfaced on a variety of labels over the years. 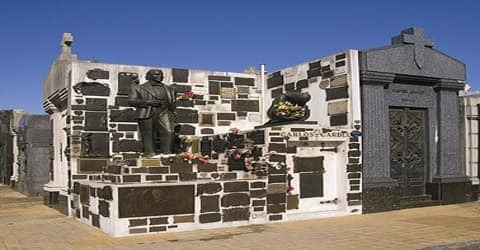 The 50th anniversary of his death was widely commemorated, and his classic “Por Una Cabeza” was featured on the soundtracks of several American films during the early ’90s.